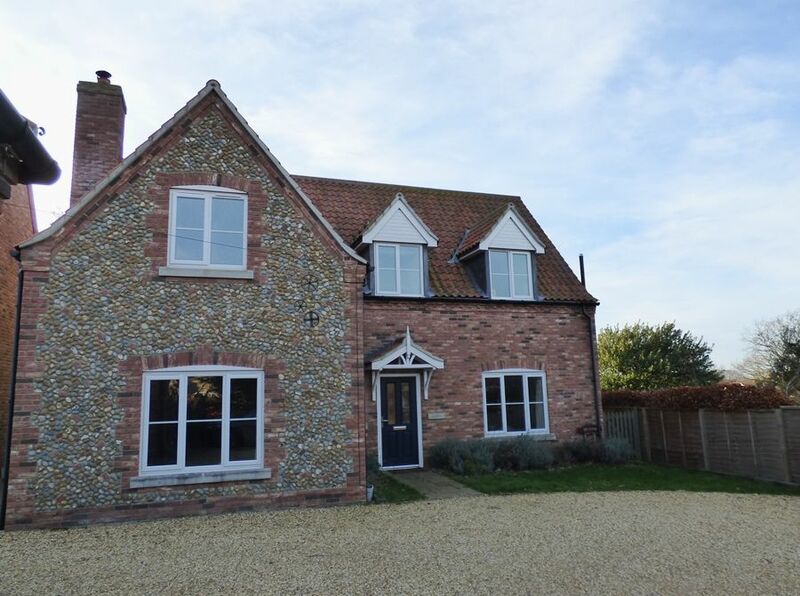 Sleepers is a Norfolk brick and flint detached house with 4 bedrooms and 3 bathrooms. 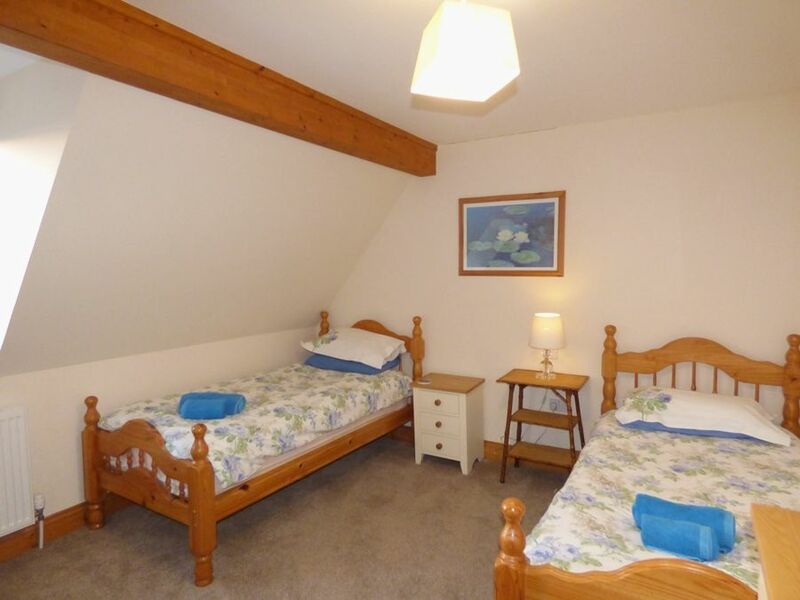 This is a comfortable, well-equipped house which makes the perfect holiday home for families, or up to 3 couples, throughout the year, with the advantage of having 2 sitting rooms. 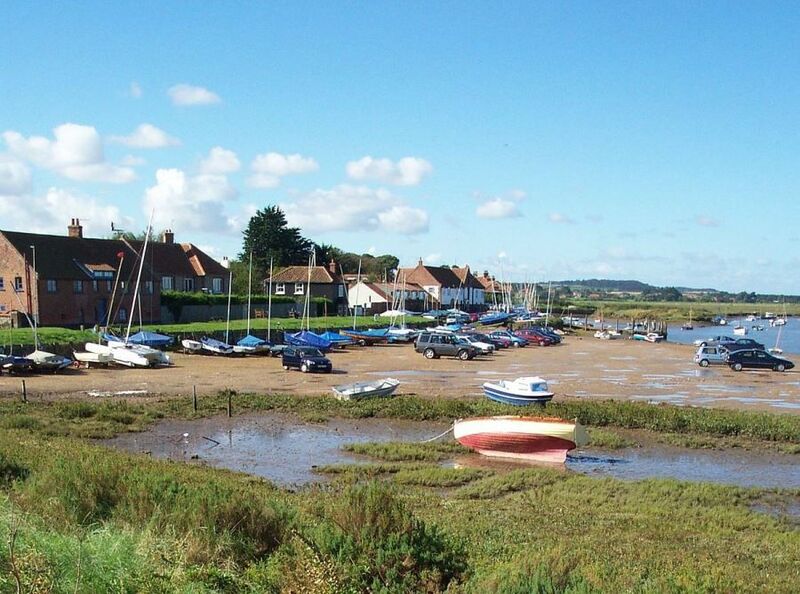 It is ideally situated only 2 minutes walk from the harbour and The Hero pub in Overy Staithe, and has a gate from the back garden onto the playing field which has tennis courts and a children's playground. 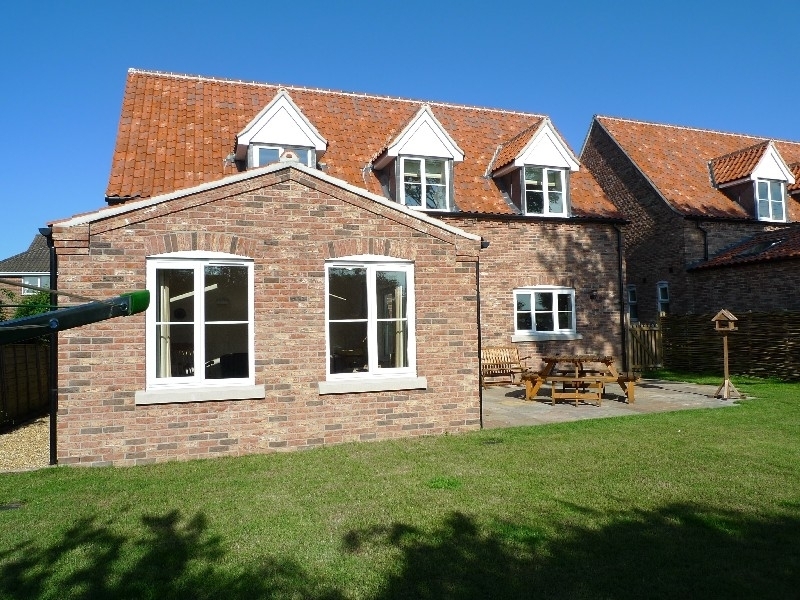 It is next door to Buffers End which is an identical house and these houses may be booked together to provide accommodation for up to 14 people. Entrance Hall: with stone floor. Cloakroom: hand basin and WC. Kitchen: Contemporary cream kitchen with integral double electric oven, halogen hob, microwave, built-in dishwasher, fridge/freezer. 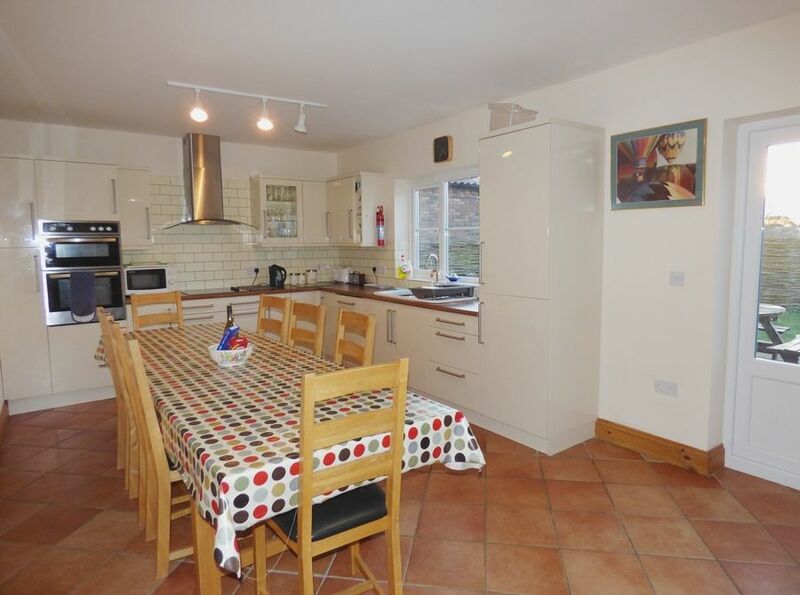 There is a large dining table with 8 chairs (which may be extended to seat up to 12). Double doors to patio. Utility cupboard: with washing machine and boiler. 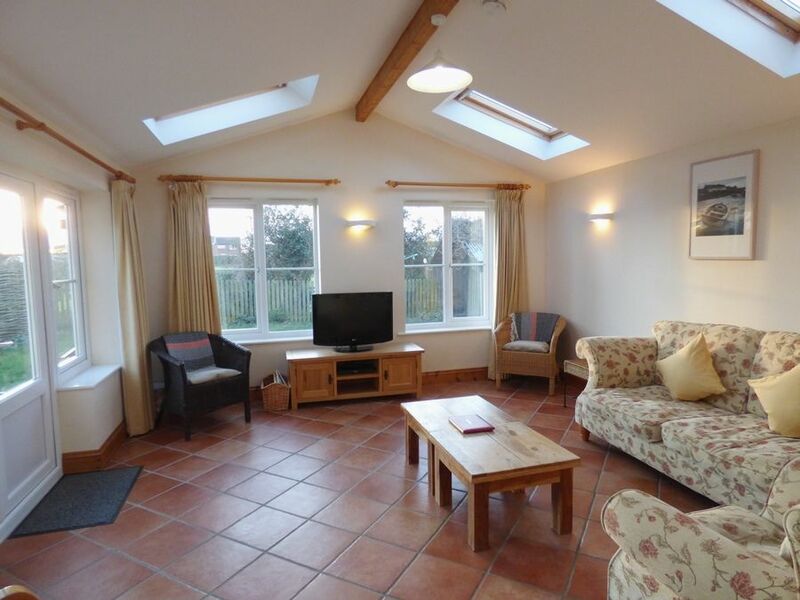 Garden Room: High-ceilinged room with double doors to the garden, 3 sofas, TV and DVD, selection of books and games. 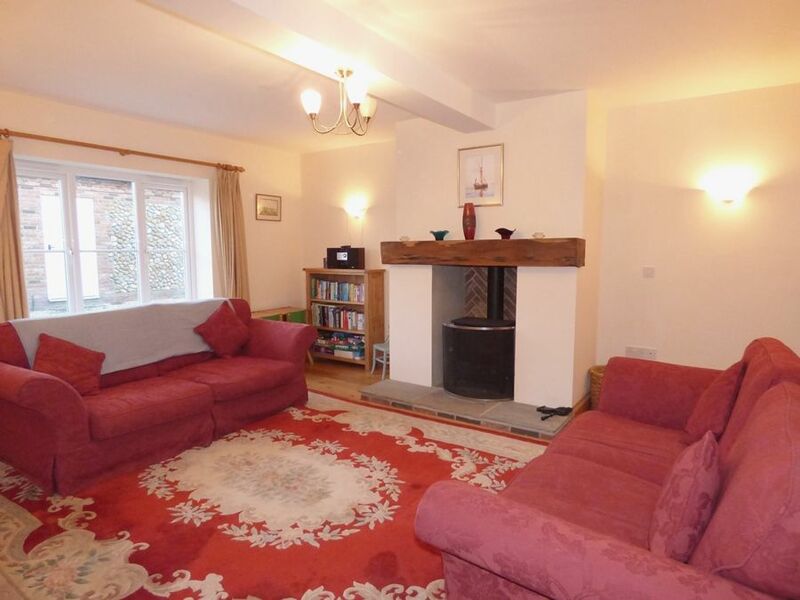 Sitting Room: Spacious room with wood burning stove, 2 large sofas and 2 armchairs, CD player. Bedroom 4: King-size bed, bedside table and lamp, chest of drawers, wardrobe. 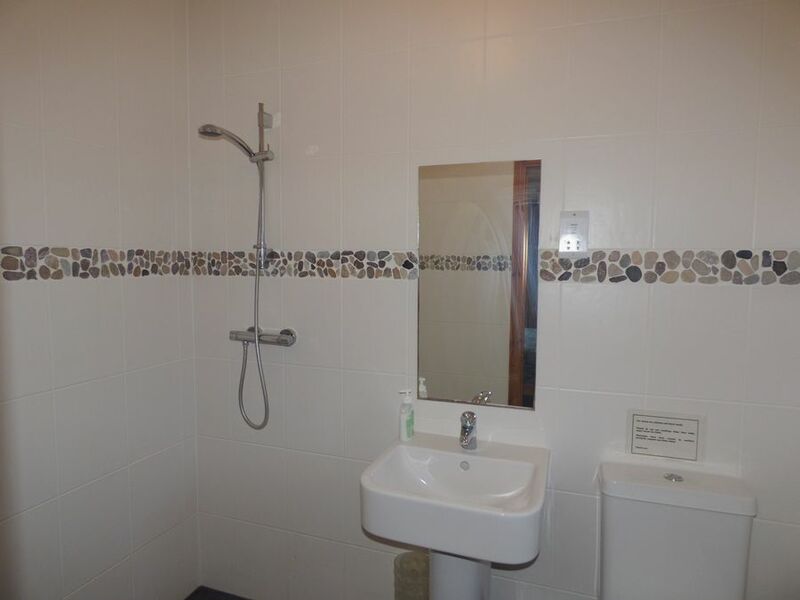 En-suite Wet Room: shower, hand basin and WC. 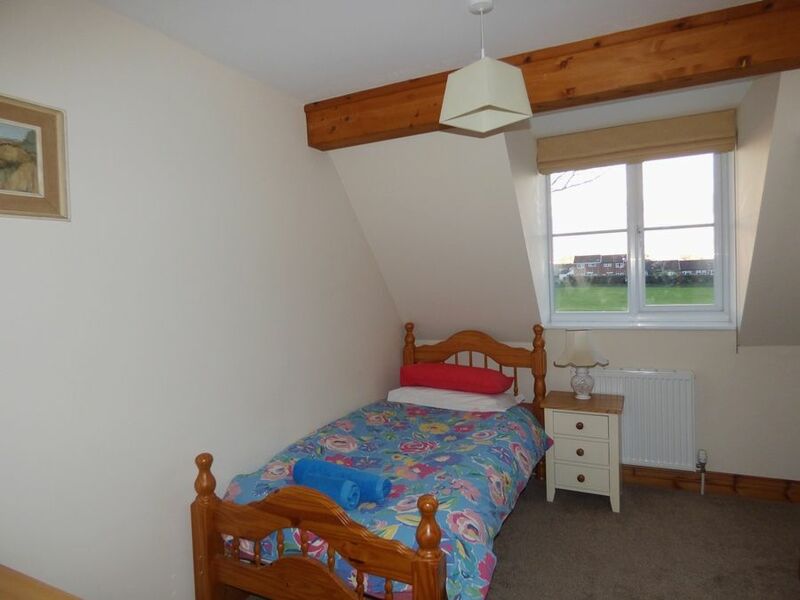 Bedroom 1: Large room with views across the playing field to the Overy windmill., king-size bed, bedside tables and lamps, chest of drawers, wardrobe, chair. 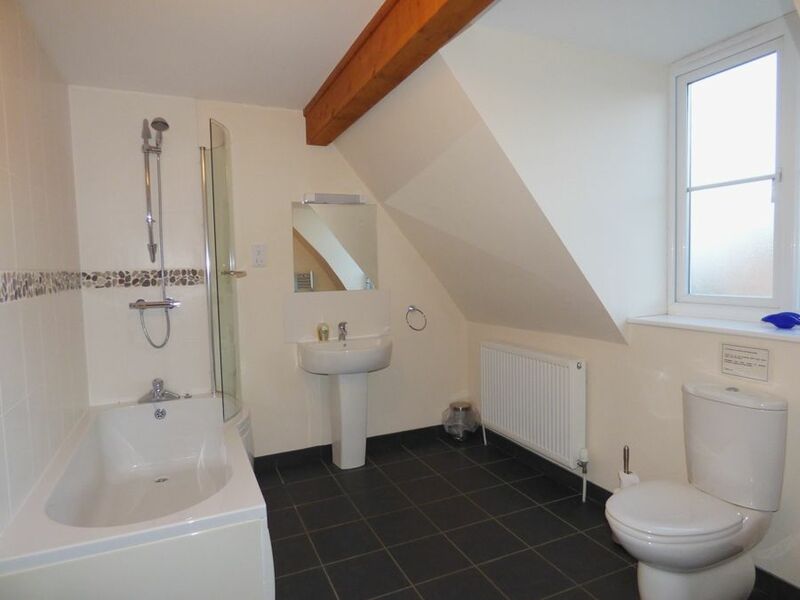 En-suite bathroom: Spacious with walk-in shower, large bath, hand basin, WC and heated towel rail. 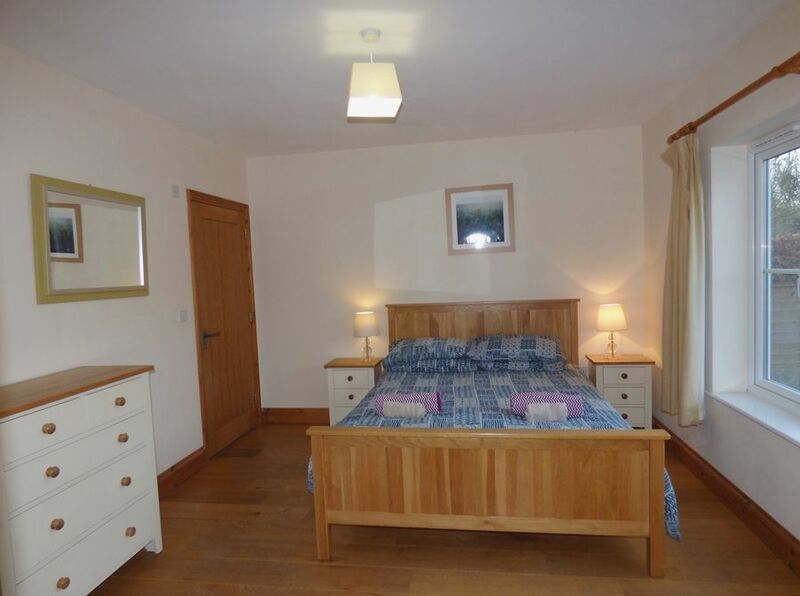 Bedroom 2: Twin beds, bedside table and lamp, chest of drawers, wardrobe. Views across to Overy windmill. 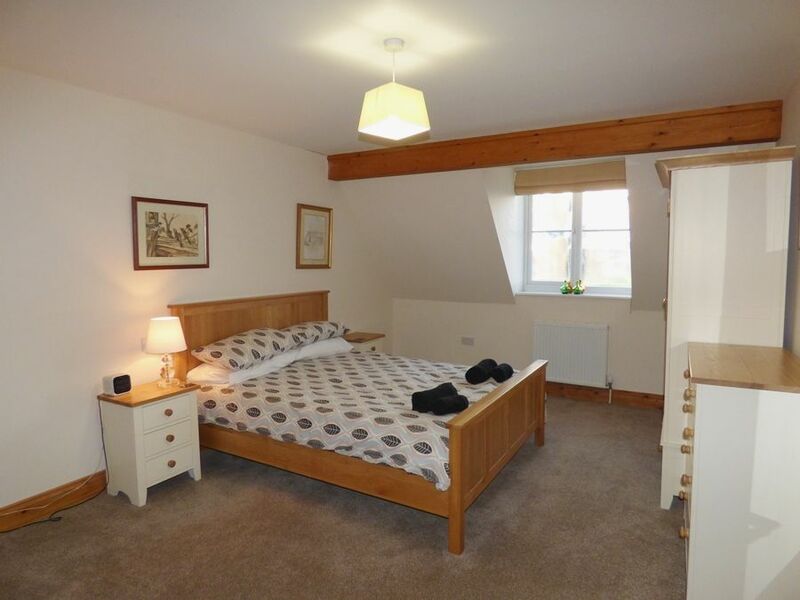 Bedroom 3: Single bed, bedside table and lamp, wardrobe and chest of drawers. 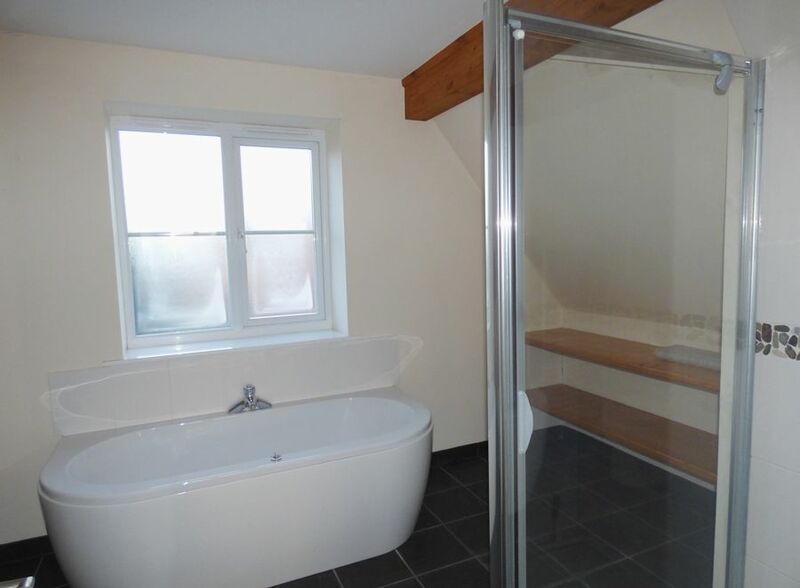 Family bathroom: Bath with shower over, hand basin, WC and heated towel rail. Plenty of parking at the front. 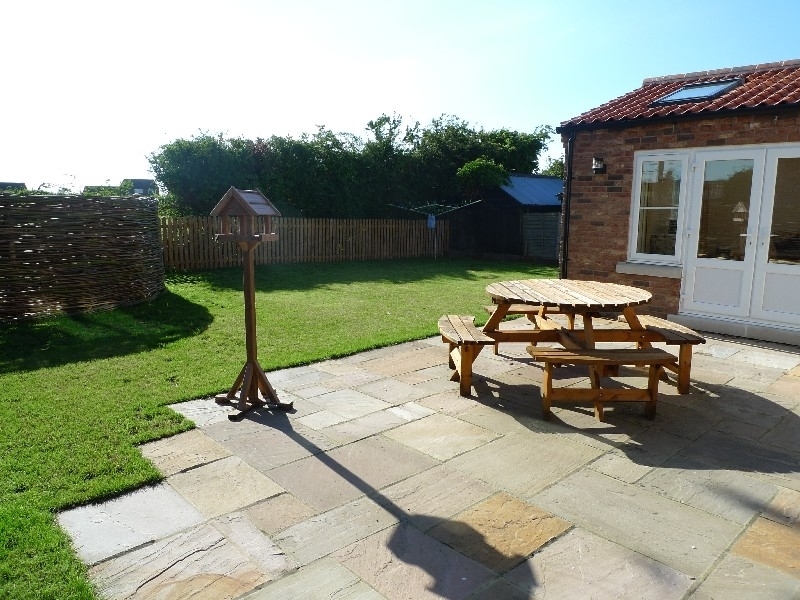 Fully enclosed rear garden with patio area and picnic table, plus lawned area. Gate to the playing fields and also a gate to the garden of Buffers End next door. Better than Expected Very spacious and private, and very well-equipped, especially the kitchen. 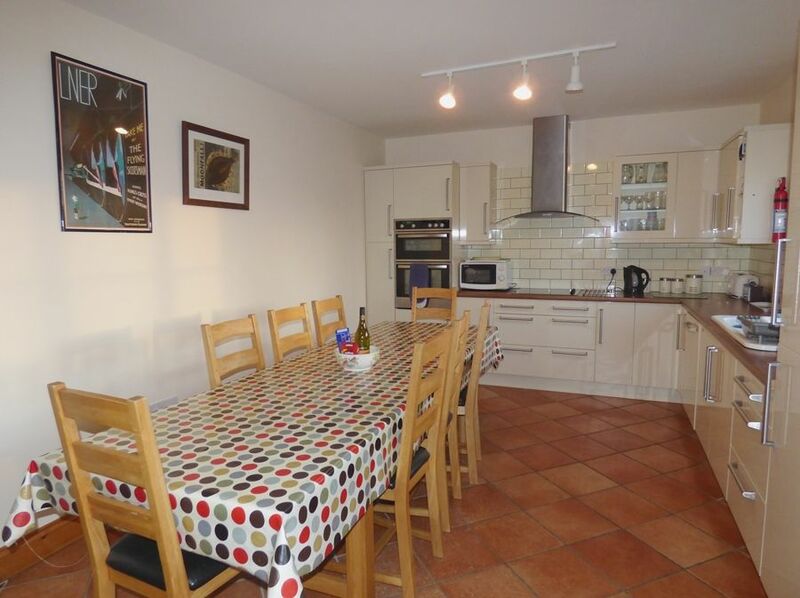 We really liked the size of the rooms We rented both Sidings houses for a special January week and their space and situation was perfect for our extended family, including children and dogs.